Halong is full of huge and colorful caves, each cave here attachs to a myth that makes them more lively and mysterious. 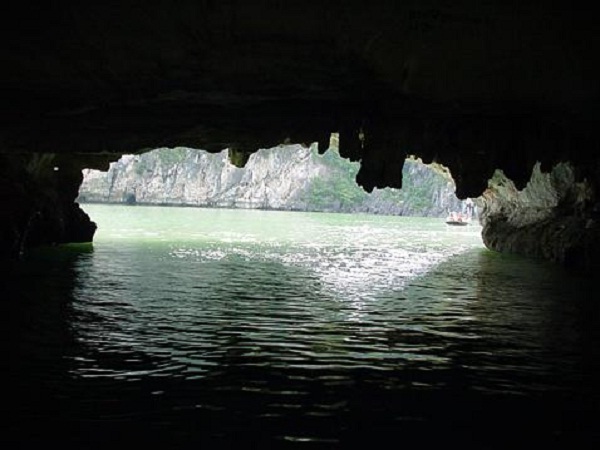 Caves is prominent feature of Halong, no one come here without visiting them otherwise it does not count arriving Halong. Let take a tour of exploring those wonderful caves. 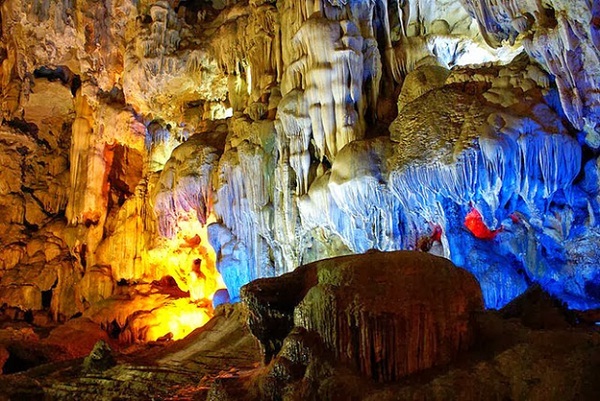 Besides, people can also experience other caves, which are also extremely pretty and colorful. Luon cave is a good choice, cliffs in this superbly fabricate and pure water here makes soul fresh. People can feel the pure nature when look in to the lake, where is so clean and tranquil that can reflex everything like a mirror. Around the lake is a forest of luxuriant plants and colorful flower that weave all day like waving to anyone coming here. 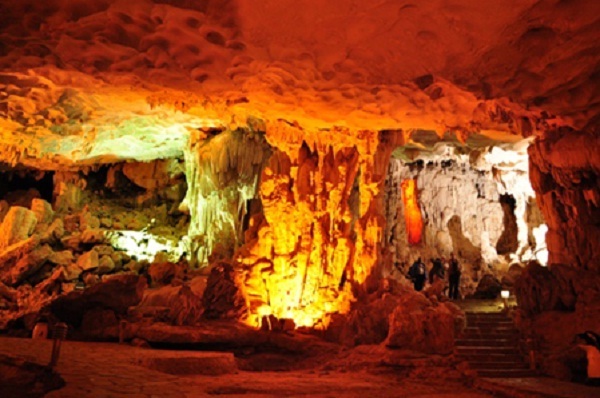 Hanh cave is the next interesting choice, this is the longest cave in Halong. The deeper people go inside the more mysterious it is. Canoe is the best choice for exploring the cave, under the dancing flame, people can feel the still atmosphere of Hanh cave and breath also can be heard. Meanwhile, scenery will gradually appear as a slow scene in an action movie. That anxious feeling will be an unforgettable experience. 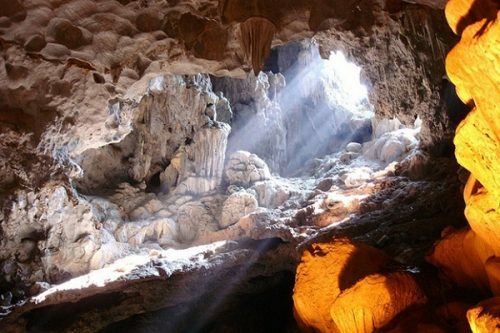 It will be incomplete if people forget Tam Cung cave, one of the most beautiful and largest cave in Halong. The cave is located on Ma Den Island, which is 5 kilometers far from Sung Sot cave. This cave is divided in three compartments. All three parts have a great source of stalactite of numerous shapes. 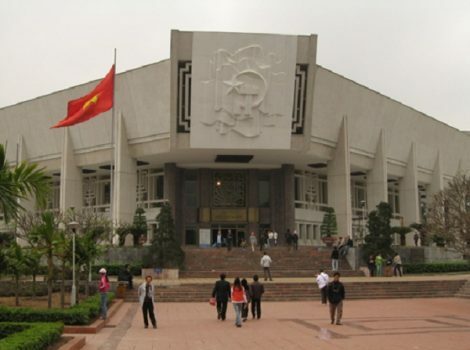 When people get into the first part, they will be totally attracted by magical sound from here, it sometimes likes T’rung (a traditional Vietnamese music) and sometimes Lithophone ( a traditional Vietnam instrument). 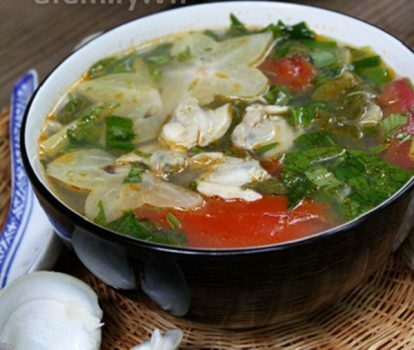 The first and the second part are connected by a tough chink. In the middle of the second part lying a stream with year-round water and curtains of stalactites hang at two sides of the cave. 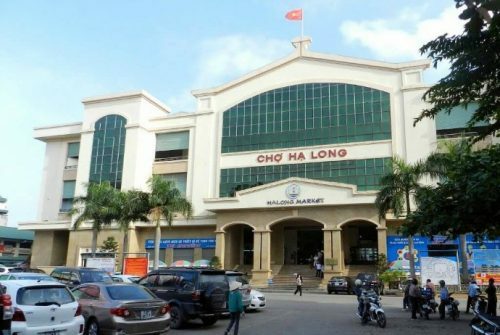 It is not all for Halong. There are numerous cave here with a beauty that no word can say. Halong is a heaven of natural caves that anyone thirsty for exploring. 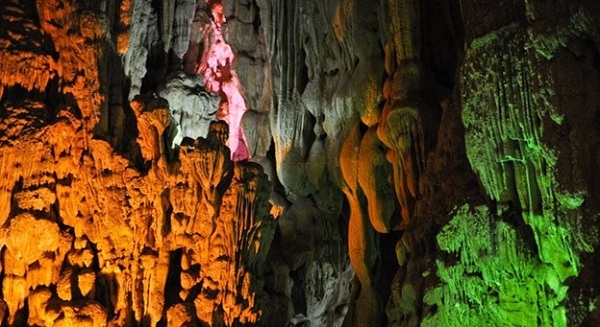 Caves in Halong and their mystery are waiting for anybody who is travelling and natural beauty lover.